Dear woman, deep in every woman, there is a primal sound. A sound that only belongs to you. By reconnecting with this voice, many women are able to reconnect with their strength. But how do you find this voice? Is it hidden under fear or perhaps sadness? Or is it entangled in the role of mother, partner, daughter? Sometimes we suppress our voice because we are afraid of its strength. In a Women’s Circle we work from a special and safe setting to (re)discover this primal sound and strength, to celebrate and emphasize it. There is room to relax and fully be ourselves. We make contact with the love in our hearts and our sensuality as a woman with yoga & meditation, stillness, but also movement and dance. 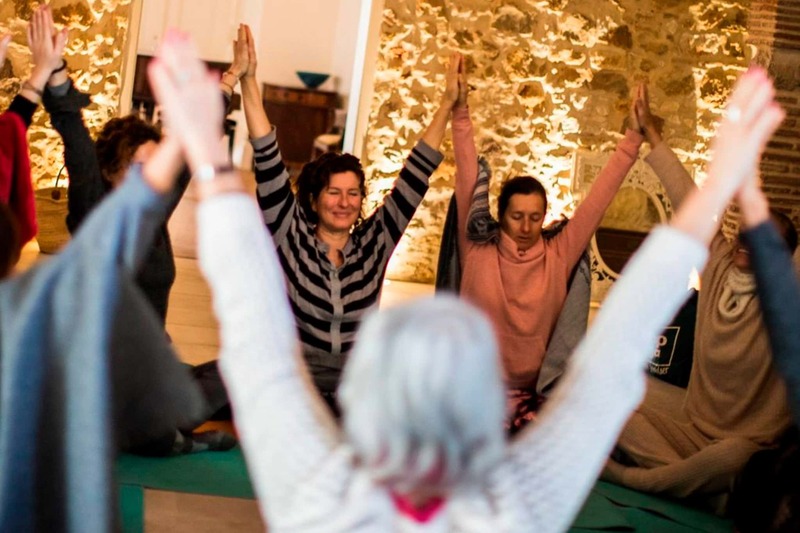 A series of women’s yoga takes place in yoga studio O Ponto in Faro at Thursday evenings, but there are also regular women’s circle events in the Netherlands. Check out the event page or facebook for the dates on which you are welcome to join the circle of yoga for women.